The global efficacy testing market is benefiting significantly from the upsurge in the support of various governments across the world for the pharmaceutical and the biotechnology industries. The rising investments for increasing the research and development activities in the pharmaceutical sector are also supporting the growth of this market. The global market for efficacy testing can broadly be analyzed on the basis of the product and service, type, application, and the region. Based on the product and service, consumables, services, and instruments are considered as the key segments of this market. The demand for consumables is relatively higher than other efficacy testing products and services and the trend is likely to continue, thanks to continual and bulk procurement of consumables, globally. Disinfectant efficacy testing and antimicrobial efficacy testing are considered to be the main types of efficacy testing, worldwide. Among the two, disinfectant efficacy testing is reporting a greater demand and the scenario is anticipated to remain so over the next few years. Efficacy testing products and services find widespread application in pharmaceutical manufacturing, medical devices, and cosmetic and personal care products. The pharmaceutical industry is projected to surface as the main consumer of these products and services in the near future. This report on the global efficacy testing market is a comprehensive market intelligence study that brings forth the lucrativeness of the said market. 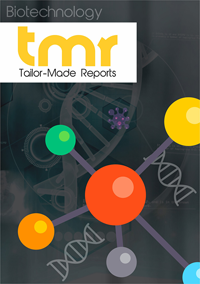 The report is being compiled by a team of experienced research analysts and it aims to assist in the form of a credible user guide for its targeted audiences such as medical device manufacturers, pharmaceutical product manufacturers, cosmetic and personal care product manufacturers, research institutes and contract research organizations, associations related to pharmaceutical and biotechnological research, efficacy testing products dealers and suppliers. Beginning with an executive summary that comprise a snapshot of how the demand for efficacy testing has evolved over the recent past and where is it headed to in the future, the report delves into the analysis of various market dynamics, such as opportunities, trends, challenges, and drivers. A detailed overview of the said market with the analysis of Porter’s five forces has been provided in a bid to present a concise and clear landscape of the market vendors to the readers. The market intelligence study also points at mergers, important conglomerates, numerous research and development activities, acquisitions, and corroborations. The companies that have been profiled in the study come with thorough examination based on their market shares, prime products, and marketing strategies. There are many factors that are fuelling the growth of the world market for efficacy testing market. The market is estimated to be driven by the growing support and interest from governments in the industries of pharmaceutical and biotechnology. In addition to that, research and development work receives boost from the rising investments in the industry of pharmaceutical thereby positively impacting the world market for efficacy testing. Furthermore, with the increasing applications of antimicrobial efficacy testing in various medical devices, pharmaceutical, and cosmetic industries, the international market for efficacy testing is anticipated to receive boost. Apart from that, regular and bulk purchases of consumable are prognosticated to drive the sub-segment of consumables that comes under the market of efficacy testing. The vendors operating in this market are expected to gain new opportunities as there has been an increased emphasis on spending more on the research and development work by various pharmaceutical companies thereby expected to drive further growth of the efficacy testing industry. In addition to that, several market players are anticipated to make a foray into the emerging economies that are yet to be explored so as to find new consumers and new opportunities. Taking regional segmentations into consideration, the world market for healthcare information exchange has been categorized into geographies of Europe, North America, Asia Pacific and Rest of the World. The world efficacy market is dominated by the region of North America and is anticipated to be trailed by Europe. It is expected that North America would continue to lead the said market over the period of forecast. However, the region of Asia Pacific is estimated to experience a very high CAGR over the period of forecast that extends from the year 2017 to the year 2022. The market in the Asia Pacific region is foreseen to be fuelled by various elements like growing geriatric population, rising incidences of chronic diseases, increasing awareness about consumer health, and increased expenditure by the government on healthcare industry have bolstered the demand for pharmaceutical products in Asia Pacific region. Merck KGaA, Eurofins Scientific, American Type Culture Collection, Charles River Laboratories International, bioMérieux, Becton, Dickinson and Company, SGS, Pacific Biolabs, North American Science Associates, and WuXi AppTec are a few leading players that are operating in the world market for efficacy testing.